To test the PSU, I used a collection of programs to help achieve the ultimate load on the unit. After a fresh bootup, I loaded Motherboard Monitor which we are using to capture the Rail highs and lows readouts. All four tests were continuously run for an hour. This could be considered a bit much, but it should push the Rails to their limits. I’m really impressed with this power supply. 400w proved ample power for the tested system easily. The largest fluctuation we had, was on the +12v Rail, which still performed extremely well. 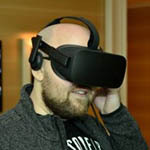 Overall, the results from stress testing are fantastic. We have a winner here! I’m glad I had the opportunity to review this PSU, because now I can add another trusted company to the list. The PSU comes with more than enough connectors, looks good, and is quiet. The included 120mm fan does a great job of cooling and is extremely quiet at the same time, so we win both ways here. The last kicker is the awesome price. If you are looking for a new PSU to feed your system, you can add this one to your list of ones to consider. 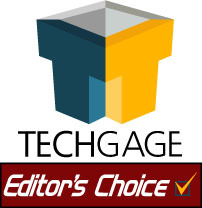 We have been lucky with the products we’ve reviewed here at Techgage lately, because once again we are awarding another product a well deserved 9/10 and an Editors Choice award. Thanks to Coolmax for providing us the sample for review! If you have anything you’d like to say about the review, comments and questions are welcomed in our RELATED THREAD. Registration is not necessary, but we welcome you to if you wish to stick around!